Our coaching staff is world class. We pride ourselves in helping athletes get the most out of every class and for being there when you need us for anything inside and outside the gym. Pete started CrossFit in 2008 as a way to cross-train for marathons and Ironman Triathlons, and soon found it to be a much more enjoyable—and optimal—way to sustain a healthy lifestyle. In 2010, he convinced his wife to let him “train a few people out of the garage,” which has grown to training over 350 people out of 2 large warehouses. He has coached over 8500 classes since then and has dedicated his career to helping people achieve their fitness-related goals. Here is what Pete had to say about why he loves CrossFit: “Since starting CrossFit, I look forward to every workout. Once I realized the on/off cycle was gone I knew there was something special about CrossFit. I think it is a combination of the daily competition against myself, the results, the camaraderie, and community. At some point I realized I was not only pretty passionate about it but also pretty good at coaching and helping people reach their goals. I check the CrossFit Journal constantly throughout the day. I watch every training video I can get my hands on. I read nutrition books for fun. WHAT? !” At the gym, he is known for overuse of the terms "ez-pz" and "you got this." Ever since Martín was a kid, sports have always been his passion. He tried numerous activities during school, but his main focus was soccer and track & field events. At age 17, he was recruited to participate in a trial to become a professional soccer player, but decided to continue his college career instead, majoring in business administration. At that time he decided to switch sports and started playing rugby. He earned his way to the first team in the top level in Argentina by age 20 and kept playing until he moved to California with his family in 2011. In December of that year he found CrossFit, and immediately felt a passion for the high intensity, competitive sport. He quit his office job and committed himself to becoming a full-time CrossFit coach. Since then, he has coached over 2,500 hours and has continued to expand his education through certifications, seminars, and personal research. He also competes regularly in the sport of fitness, and has participated in the CrossFit SoCal Regionals twice – 2013 as an individual, and 2014 on a team. Kevin played basketball throughout grade school and also did some track and field. After college he wanted to stay active so like most people, he joined a global gym and worked out there. After a few years of weightlifting, he felt that although he was getting strong, he was losing his athleticism and wanted something new. One day, a random guy at the gym told him about CrossFit and suggested Kevin to try "Fran" (if you don't know Fran yet, you will soon). Kevin did Fran the next day, almost puked, and was hooked since then. Tess started CrossFit in 2010. Prior to discovering CrossFit, she always had a passion for fitness and sports. Her competitive drive in life and as an athlete quickly turned into helping and inspiring others to live healthier lifestyles. Hard work and self discipline has always been her priority, to better herself as an athlete and instructor. Tess was introduced to CrossFit in 2010, and was immediately intrigued by the concepts of “race against the clock” and “constantly varied, high-intensity functional movement”. Tess believes that being a part of an amazing community, coaching, witnessing real results, and improving herself as an athlete are the greatest and most rewarding parts of her career as a CrossFit coach. She loves actively participating in CrossFit competitions and continuously learning new athletic concepts, training methods and coaching techniques. “If your actions inspire others to dream more, learn more, do more and become more, you are a leader.” – John Quincey Adams. Rob was first introduced to CrossFit in January of 2009. He has always had a passion for fitness and health. One day his wife came home from work talking about how her friend was doing CrossFit out in some guys garage and he was intrigued. He decided to give it a try and after meeting ‘Fran’, was completely hooked. He loved the feeling he had the second he finished his last round of the workout and could not wait to see what the workout would be the next night. CrossFit had instantly taken over. Rob knew immediately that this was something special. He received his Level 1 CrossFit Certification not too long after. To further his knowledge he attended the National Personal Training Institute and received a diploma in fitness. Rob continues to learn the sport of fitness and enjoys sharing it with everyone. Kendall grew up very active and always played competitive soccer and field hockey. At 18 she accepted her first position in the fitness industry teaching group exercise. For eleven years she worked as a personal trainer and group exercise instructor in a big box gym setting. Kendall took her first CrossFit class after the birth of her second child and was immediately inspired by the strong women in the class, especially the fellow mothers. It was when she realized that being a mom didn't mean that she couldn't still be an athlete. Leaving the box gym setting was an easy choice. In 2014, Kendall interned for a year with Gary Baron of Rocklin CrossFit in Northern California. That same year, after spending two years participating in CrossFit to cross train for endurance sports, Kendall hung up her running shoes to focus on the sport of CrossFit. Since then, she's been to Regionals twice (2015 and 2016) and can currently back squat over 300lbs. In the summer of 2016, she was fortunate enough to be selected to participate in an 8-week internship at Juggernaut Training Systems. For Kendall, being a coach is an honor. She recognizes that people have such little free time and lives to help people make the most of the best hour of their day. 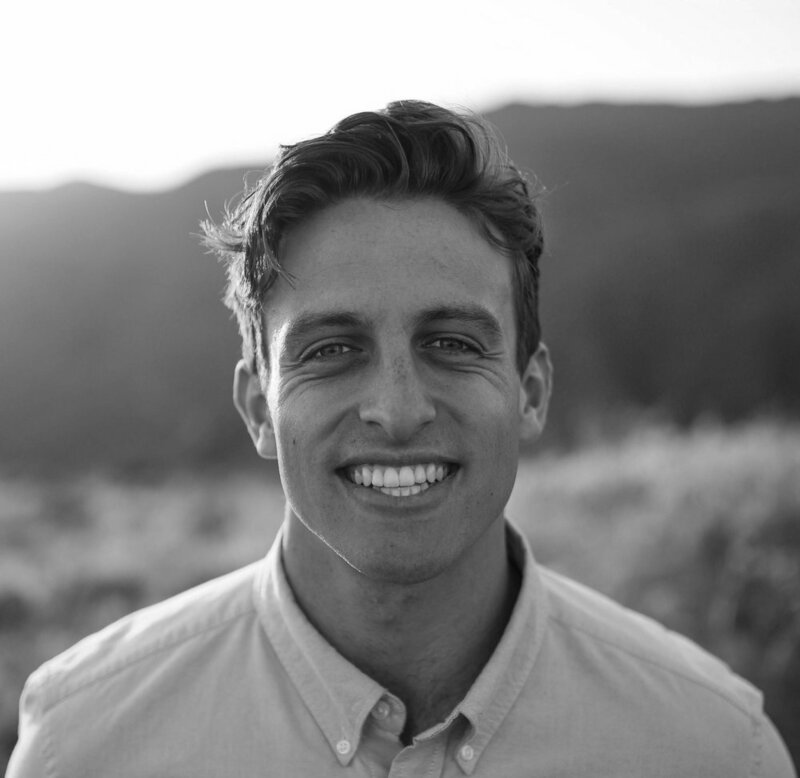 Head of Product, Immerse Inc.
Jacob grew up in southern California and has always had a passion for the outdoors, fitness and health. He was first introduced to CrossFit in 2014 and he quickly realized that just because he played college football didn’t mean he was particularly “fit.” From day one he fell in love with the sport of fitness and it has redefined his view of health and athleticism. Jacob loves the deep sense of community that comes with being a part of Crossfit Forest family. It truly is a box like no other. On top of that, watching as people come together to motivate each other and crush their goals is something that brings him so much excitement and joy. When he’s not at Crossfit you’ll find Jacob surfing, backpacking, or turning a school bus he recently purchase with his wife into an epic camper van. Nicole was a competitive gymnast growing up. When she went to college, she had to find new sports and got into acrobatics gymnastics, triathlons, and MMA. After college, she moved to Irvine and was again on the hunt for a new passion. She was never satisfied with simply going to a regular gym and running on treadmill; she needed a sport, a community! Finally, in August of 2015, she found CrossFit. If Nicole is not at the gym, she is probably either at her day job, or at home cuddling her two cats, Loki and Oly. Christine came to us from our corporate wellness program with a local Lake Forest company, and it was less than a year when she caught the CrossFit fever and began competing locally. When asked why she coaches kids, she said, “I want to help kids and adults get excited about exercising, gain self-confidence as well as a healthy view of nutrition and exercise.” Christine also assists in managing our childcare program. When Christine is not CrossFitting, Christine and her family go camping, hiking, swimming, and biking.